. : Blue Maze Contact Us :. 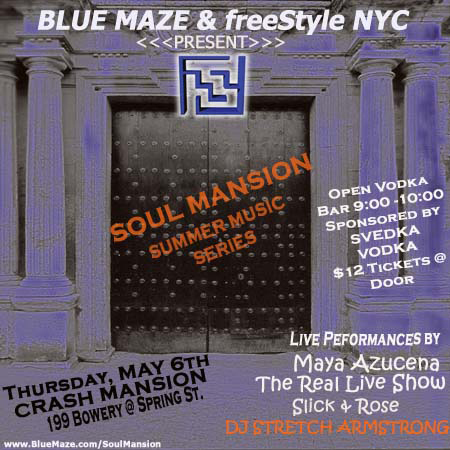 Blue Maze Entertainment and FreeStyle NYC presented one of the summer's hottest soul events at Crash Mansion!